Intrauterine fetal demise is the clinical term for stillbirth used to describe the death of a baby in the uterus. The term is usually applied to losses at or after the 20th week of gestation. Fetal demise is defined differently around the world, based on the gestational age and weight of the fetus. In some places, the threshold can range from at least 16 weeks to at least 26 weeks with a weight of at least 400 grams to at least 500 grams. Pregnancies that are lost earlier are considered miscarriages and are treated differently by medical examiners. Parents of a stillborn baby, for example, will receive a birth and death certificate while those of a miscarried fetus will not. To many who have experienced such loss, the line between a stillbirth and miscarriage can often seem arbitrary but should in no way suggest that a parent's emotional response is any more or less profound. According to the Centers for Disease Control and Prevention, fetal death occurs in roughly six of every 1,000 births in the U.S. Early stillbirth (occurring from 20 to 27 weeks) is only slightly more common than late stillbirth (28 weeks or later). Your general health and well-being are key in determining your ability to carry a child to term. Hypertension, diabetes, lupus, kidney disease, thyroid disorders, and thrombophilia are just some of the conditions associated with stillbirth. Smoking, alcohol, and obesity can also contribute. Ethnicity and race also play a part, both in terms of genetic disposition and the socioeconomic barriers that prevent some mothers from accessing perinatal care. 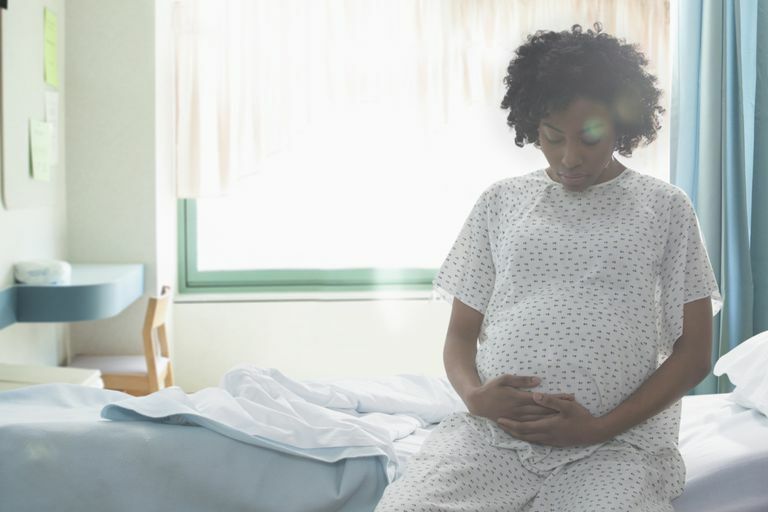 African American women are today twice as likely to have a stillbirth compared to white women. Advanced maternal age isn't the factor it used to be thanks to advance perinatal technologies. Still, women older than 35 are more likely to have unexplained stillbirths than younger women. Carrying more than one baby increases your risk of stillbirth. As a result, in women undergoing in vitro fertilization (IVF), it is often recommended that one embryo per be transferred per cycle to reduce the chance of a stillbirth. Domestic violence can affect women of all races and economic standing. However, in poorer communities, high rates of unemployment, drug use, and incarceration can combine to place a mother and unborn child at even greater risk. A history of pregnancy problems, including fetal growth restriction and preterm delivery, translates to a higher risk of stillbirth in a subsequent pregnancy. Meanwhile, women who have had a previous stillbirth are two to 10 times more likely to experience another. If you experience a stillbirth, it's natural to feel an often dizzying array of emotions. Don't try to swallow them. Instead, turn to your support network (including your friends, family, and medical professional) for help in coming to terms with your loss. If you find yourself unable to cope, seek professional help from a licensed counselor or mental health professional. Ask your doctor or obstetrician for referrals. In the end, coming to term with a stillbirth is not an event; it's a process. Give yourself time and don't close yourself off. Things will get better. Centers for Disease Control and Prevention (CDC). "Trends in Fetal and Perinatal Mortality in the United States, 2006–2012." Atlanta, Georgia; November 2014.